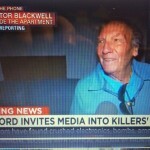 Did Media Frenzy in Terrorist Case Break California Law? As the above images from Getty’s top award-winning photographer Justin Sullivan show the media mob storming the house rented by the Farook family. Syed Farook and his wife Tashfeen Malik are the accused shooters who gunned down 36 innocent people in a terror attack in San Bernardino, leaving 14 dead. On December 4, the property owner, Doyle Miller, 81, decided to have a look inside the premises. He said the FBI was done with their investigation and had turned it back to him, and he was curious to look inside. He had some trouble prying off the boards that had sealed the front door, but no problem, British journalist and Sunday Times (London) editor Toby Harnden lent a hand with a large screwdriver to pry off the offending board, allowing the huge crowd of media vultures to storm the house and rampage through the rooms. 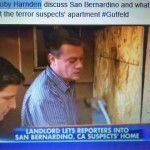 Harnden, interviewed on a Fox News segment, the Greg Gutfeld show, said “I wished I had worn a better shirt” to be photographed in. He claimed that owner Doyle Miller had invited the media inside, a claim that was echoed by others from the other news agencies. He said it is in the public interest to see what was in the house. 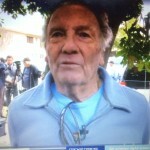 He also said that “it was an absolute gold mine of information.” But what is the actual legal status, and what right does Mr. Miller have to be in the premises himself, and what legal right did he have to break into the property and let in not only the media, but neighbors and others who just floated in? The interesting thing in this case is that some reports are saying that Farook’s mother rented the house. If indeed she signed the rental agreement or lease with Mr. Miller, then she is the tenant and it is her sole authority over it until she moves or is evicted. The police authorities and FBI, of course, in a criminal case, can get a warrant and search the home where the alleged killers lived. They can keep this as a crime scene for some time, and it is astounding they “released” the home back to the owner so soon, after 2 days, especially with the breaking story of the next door neighbor being involved in what is now looking like a terrorist cell. The neighbor, Enrique Marquez, allegedly bought the weapons used in the attack, and had planned other, more sophisticated operations with Farook. Did the Sheriff’s Department get a chance to examine the crime scene carefully? Did the FBI “take over” the whole operation? The FBI left a four page list of evidence that they seized on a table inside the house. At lease one page was published in the press. Mr. Miller possibly had no legal authority to enter the premises without permission from his tenant, especially since there was no obvious emergency, like a burst pipe or flood. And even if he was just checking on the plumbing or something, what legal right did he have to invite in a mob of about 100 reporters and others, mostly unidentified, into the house? Could this be considered breaking and entering? Or Burglary? Or invasion of privacy? 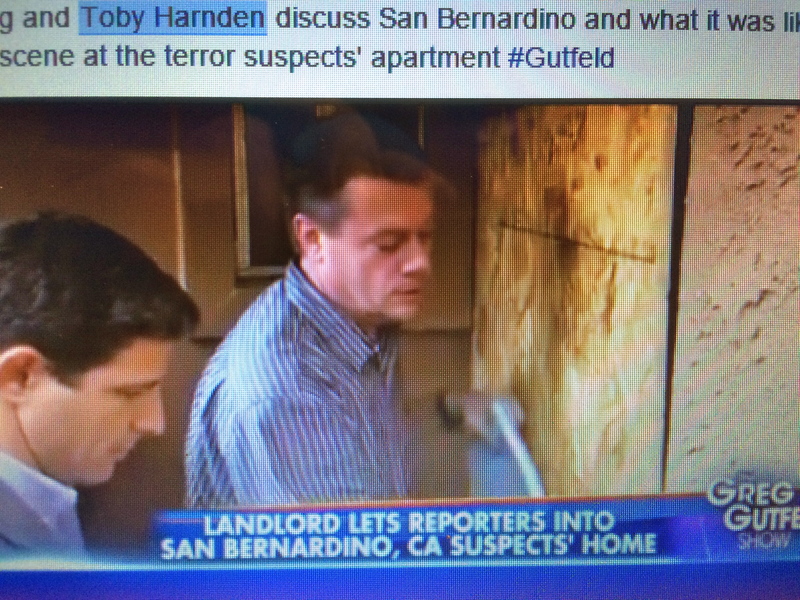 And how about Mr. Harnden, a respected British Journalist, wielding a screwdriver to pry off the door? Mr. Harnden claimed he found some interesting intel in the house, including some phone numbers from a middle eastern country, that he is checking out, pointing out that maybe the FBI search was not so thorough, a disturbing thought in itself. Harnden said he found a notebook with numbers in Dubai and other numbers from the Middle East. Possibly good leads now that it is becoming evident that this was the work of a terrorist cell. On December 19th, Farook’s mother Rafia, with other family members, showed up with a U-haul and loaded all the possessions from the Redlands house and drove off. If there was indeed any evidence left, it may now be gone forever. According to reports, Farook was making bombs in his garage at the Redlands house. These situations are dangerous to everyone involved, both to law enforcement and a mob of press members. Remember back to February 8, 1986 in North Hollywood. LAPD was investigating a Hollywood make-up artist named Donnell Morse, for shooting a make-up artist union official. 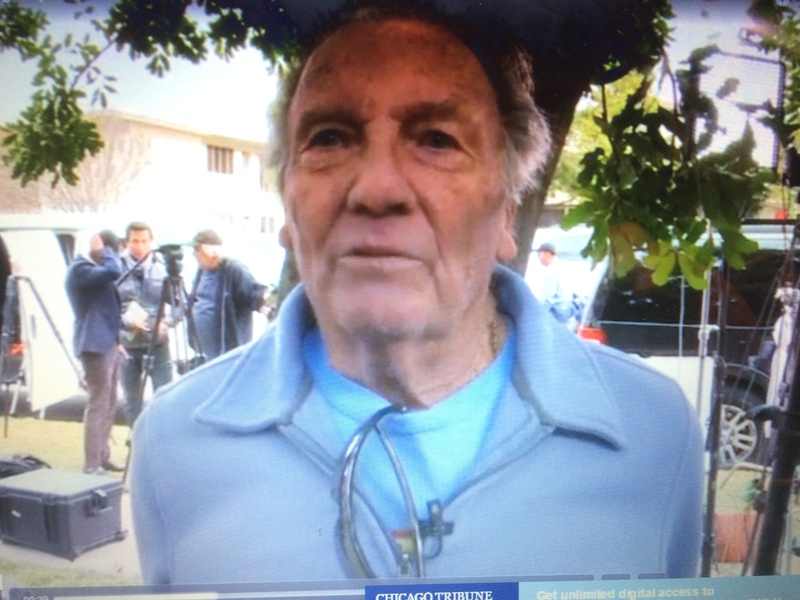 Pipe bombs were found in his garage, and the LAPD Bomb Squad was called. Two veteran experts from the Bomb Squad, Detective Arleigh McCree and officer Ronald Ball, arrived and determined that the bombs were booby-trapped. The area was evacuated, but in attempting to disarm the bombs both McCree and Ball were killed when one of the bombs went off. Det. McCree received an award for heroism, and he was known by many in Los Angeles. 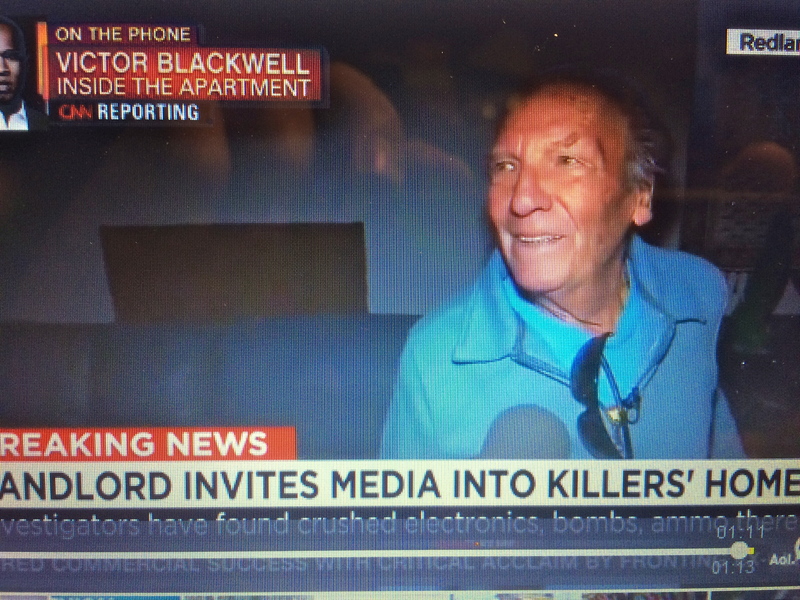 He had saved lives on Hollywood Boulevard in another incident where an extremist zionist group had allegedly planted a bomb at an Arab Information Office located in a building facing the busy street. Old time reporters remember Det. McCree, he was a great guy and he was much respected for his work in keeping us safe. The point of this is to illustrate how dangerous these situations can be. Could Farook have planted booby-trapped bombs? Probably not in the house where he lived with his family, but the possibility exists in the secretive garage where he had ammunition and pipe bombs. How soon we forget about the past events that has sadly resulted in the deaths of police officers. 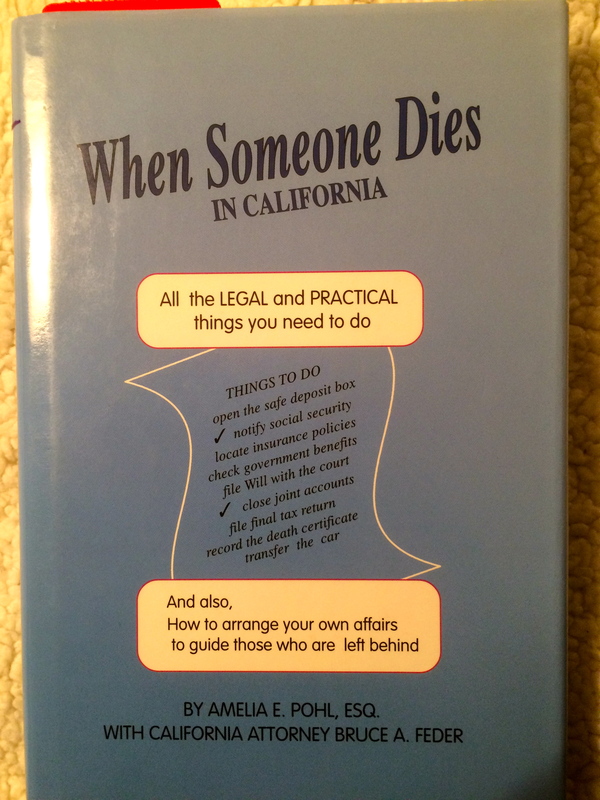 According to the book “When Someone Dies in California” by Amelia Pohl and California attorney Bruce Feder, there are strict procedures to follow when someone dies. These would include methods of probate, determining the heirs, finding a will, and many legal issues regarding the transfer of the decedents property. Basically, there are rules of estate administration. 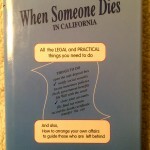 Depending on various circumstances regarding the death of someone in California, there are legal rules. The Farook family has attorneys who have given press conferences, so it can be assumed that they are taking care of things. But in reading through the book, it still poses the question as to what authority the landlord had to break into the house and let in a mob of press and others to rampage through the house. A friend of mine who is a property manager, said that if someone dies in one of the apartments, it is sealed off by the police. The County Administrator will try to find a will and to find any relatives, but until things are resolved legally, the apartment is sealed off. The landlord cannot go in. The authorities may keep it locked up for months while they investigate the situation. This is for a normal death, not one of the biggest crime scenes in California history, much less that this could be the home for a murderous terrorist cell. It looks like a chain of incredible blunders have been made by FBI, law enforcement, the landlord, the press, and others. Another crazy media circus, where, as the old adage goes, nothing lost save honor for all parties involved.